Agrigento is at its best at Easter and with its mild climate and suggestive representations it is the right period to discover a land rich in history, art and faith. 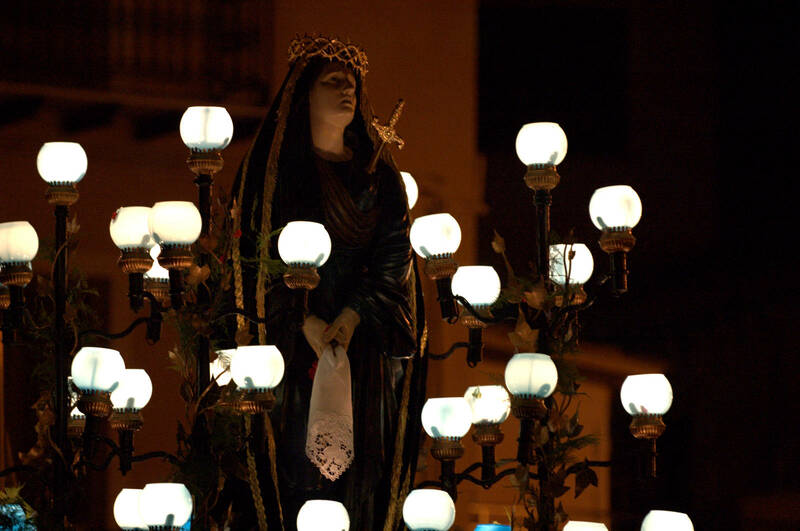 Ancient rituals, traditional flavors and the warmth of people who come together to experience spectacular representations make the Holy Week in Agrigento a unique opportunity to get in touch with the territory’s popular soul. We have selected some of the most characteristic events in the province of Agrigento to recommend to you for your Easter vacation. Easter in Favara. 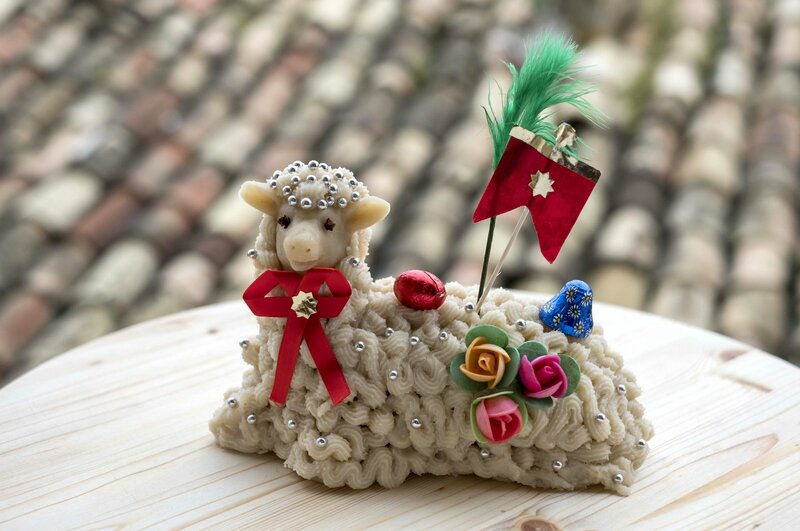 The famous ‘Sagra dell’Agnello Pasquale’ takes place in Favara during the Holy Week to celebrate the typical handmade, Lamb-shaped sweet made of almond paste. The external white almond layer is moulded and decorated to obtain the soft shape of the Lamb, which is filled with a delicious finely chopped fresh pistachio stuffing. Every year the event involves the various churches, the Marzipan Almond Museum and Farm Cultural Park, one of the most important centers of contemporary art in the world. In fact, besides the typical religious rituals of the Holy Week, Easter in Favara is always accompanied by a series of tasting events that attract numerous visitors to its historic center. Easter in Aragona. On Easter Sunday in Aragona a very lively and original sacred representation is staged: “U’Ncontru” or “the encounter” between Saints Peter and Paul. Two enormous statues in wood and papier-mâché representing the two Saints are carried around the streets of the historic center by the locals, who bear the heavy statues on their shoulders. Meanwhile, in the Churches of the Rosary and of the Carmine, a more solemn encounter between the Madonna and the Resurrected Christ is prepared. 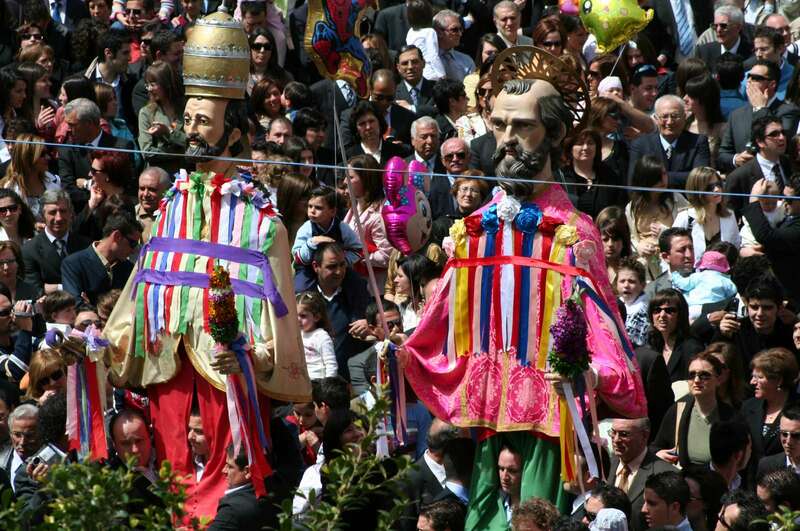 Besides these two processions and their spectacular encounters, the Aragonese Easter is an opportunity to taste some delicious local dishes such as the “m’briulata”, a tasty roll of bread stuffed with minced meat and black olives, and “u Taganu” a tasty pasta prepared with eggs, fresh cheese, minced meat and aromas. Two delights that rank among the oldest traditions of Aragona. Easter in San Biagio Platani. 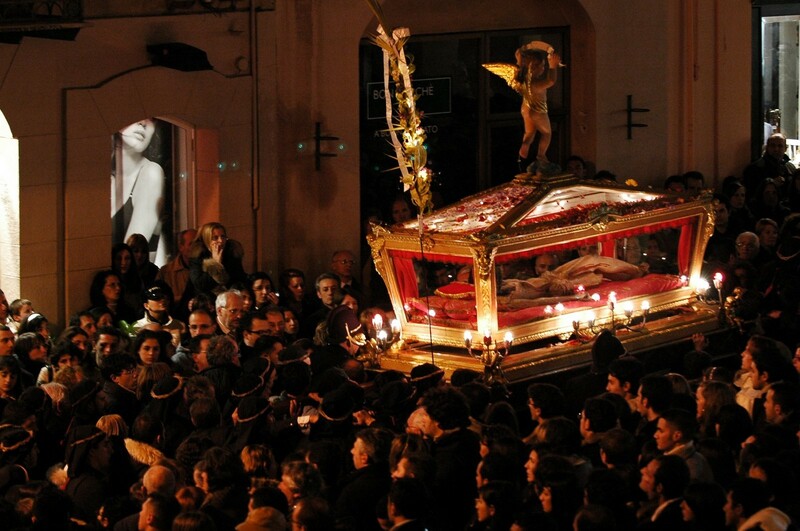 Easter in San Biagio Platani is undoubtedly one of the most important and spectacular events in Sicily. 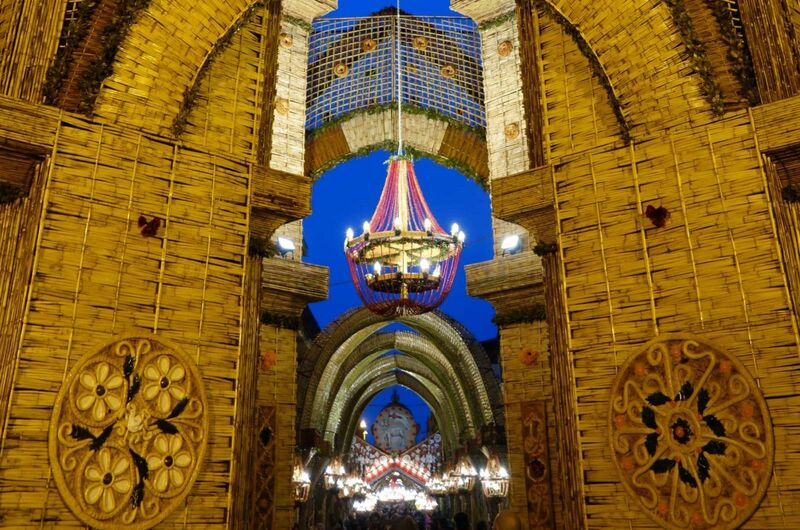 The Easter Arches are beautiful, imposing constructions made of wooden frames and intertwining reeds, decorated with singular bread sculptures and other artistic creations. The scenographic sculptures are made by two competing fraternities: the “Madunnara”, devoted to the Madonna, and the “Signurara”, devoted to Jesus. Men, women and children dedicate the winter months to the production and construction of these magnificent arches and unique bread sculptures which are brought together at Easter, transforming the main street of San Biagio Platani into a richly decorated gallery.